I didnt know Cloud liked Sephy so much!!! *faves* funny!! can you give me his gloves? me likey the gloveses. mwah hah haaaah!! Wow!! !, I'm amazed it's really funny, could you make me a wallpaper of this pic? heehee, cloudy! he's so hot in ac. 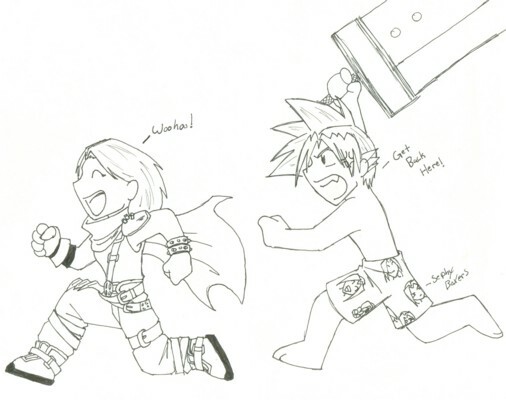 awwww poor Cloud! this is really cute! Lol! kokogurl right Those clothes do suit you!I love this pic!